This week, Apple held their annual Worldwide Developers Conference. During Monday’s keynote, CEO Tim Cook and other members of the company’s executive team showed the world iOS 6 and OS X Mountain Lion. In addition, we had a look at the company's refreshed Macbook Pro and Macbook Air. Here’s a small sampling of what AppAdvice covered during the very busy week that was. Last year, Apple concentrated on iCloud, iOS 5, and OS X Lion. This year, Apple focused on iOS 6, OS X Mountain Lion, and the Cupertino-based company released new Mac updates, making this the most exciting conference in recent years. 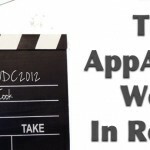 This post has a rundown on all of our event coverage, and you can also find it in the AppAdvice app. But if you want a play by play recap, you can revisit the keynote on our live blog here: live.appadvice.com. Will iOS 6 Work On Your iDevice? 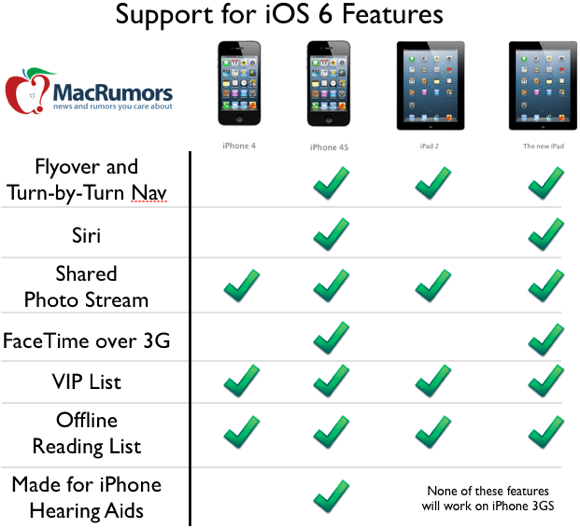 Before you get too excited about Apple’s next mobile OS, know that not all of the features of iOS 6 will work on all iDevices. In some cases, in fact, the OS won’t work at all. For the first time since 2009, Apple announced new Mac updates at WWDC These are no minor updates, either. The company has refreshed its entire line up of MacBook Airs and MacBook Pros with Ivy Bridge processors, and they’re all on sale today! There’s also an all new MacBook Pro you won’t want to miss. Think Apple Could Have Done Better At WWDC 2012? Depending on what you were expecting from Apple’s WWDC keynote, today’s presentation was either a costly strikeout or a critical home run. Of course, every time Apple doesn’t introduce a new iPhone or iPad, the detractors rise up in their pulpits and start with the venom and vitriol. So most reaction, at least in the short term, will probably skew towards the negative. And that’s wrong. Why Would Facebook Release Their Own Phone, When Apple Is Doing This For Them? I have a deep seated mistrust of Facebook and it's "founder." Nuff said. Honestly, I dislike Facebook. And I detest the thought I'll be seeing apple integrate facebook to the iOS 6. A big disgrace :( just my honest opinion, though :( For those of us who are 'not addicted to Facebook', the less integration,the better. Hopefully it is easy to ignore in places where it will be present. Verizon's Shared Plans Begin June 28 by yours truly examines Verizon's new "Share Everything" data plans. 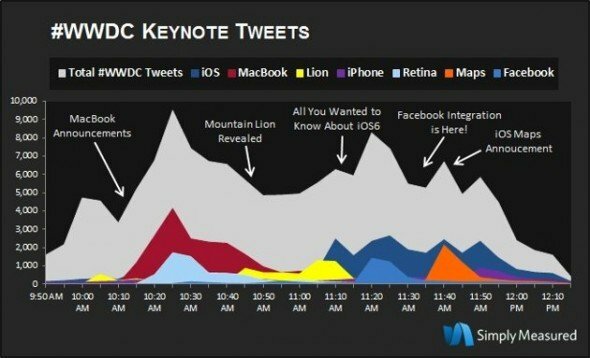 It's No Surprise, But Twitter Data Shows iOS 6 Was Keynote's Most Popular Announcement by Joe White shows us just how popular WWDC was for the masses online. Apple's Passbook App Could Be The Mobile Payments Solution We've Been Looking For also by Joe White discusses Apple's next native app, Passbook. Apple Store App Adds Express Checkout And Location-Based Pick-up Notification by Aldrin Calimlim looks at the new App Store app features.